This festival is free, open to the public festival that will celebrate the NorthSide with 20-40 art vendors, food, live entertainment, and free admission to the Lexington Art League Galleries. This new community Arts Festival is in honor of LaVon Williams. 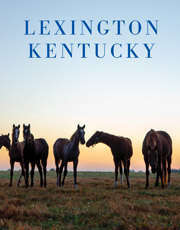 LaVon is a long time resident of Lexington, Kentucky's NorthSide and a prominent folk artist.